Echo & The Bunnymen place another marker in the ground for Liverpool’s greatest band, Getintothis’ Dickie Felton finds it an argument not even worth pursuing. Years ago, during a heated pub debate on the history of Liverpool music, Getintothis suggested that Echo and the Bunnymen were the greatest band Merseyside ever produced. Before I worship at the House of McCulloch, and what with this unseasonably mild weather, I find myself taking in the delights of the “beer garden” at Ma Egerton’s. Within moments a patron lurches and nonchalantly throws up on my shoes. I know instantly that I’m in for a good night. No chance of anyone spewing inside the O2 Academy. They have the best anti-sickness prescription available – extortionate ale prices that make Premiership football tickets seem cheap. And so to the openers – The Probes. These boys know how to play. Mostly with purpose. They look very young. With all these late nights they’ll never pass their GCSE’s. 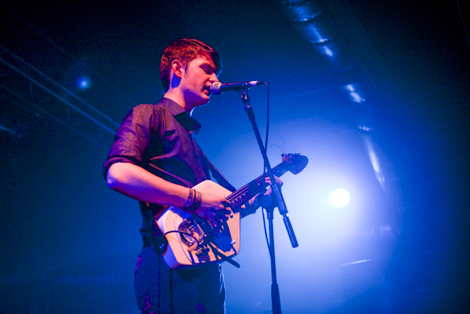 The singer has an aura and voice of Joy Division‘s Ian Curtis. As they play a fantastic set it’s clear The Probes have ambition to be a bit different. The sound is a little Interpol or The Cure but with more energy. The Probes final song should be a contender for theme music to Formula One TV coverage. Fast out of the grid. Move over Fleetwood Mac. And then to Merseyside’s finest ever group. At 9:25pm, to Gregorian chanting and dry ice, enter The Bunnymen. Ian McCulloch in his trademark shades and bouffant, looks as cool as ever. Do It Clean and Never Stop have the sold-out crowd going crazy, singing along to every word. It’s hot in here. The fan in front of me, carefully capturing every second of the set with his camcorder, manages to strip down to his waist while still holding his camera. It’s a feat of Houdini proportions. The temperature is raised a few degrees when Silver floats beautifully into this hothouse atmosphere. Then come others from that landmark Ocean Rain LP: Seven Seas followed by My Kingdom. Rescue and Bring On The Dancing Horses are received like long lost friends. The latter sung so loudly by the crowd that you can barely hear McCulloch’s voice at all. The singer just takes a step back and salutes his people. The finale consists of Nothing Lasts For Ever with a lovely tribute to Lou Reed as the Bunnymen cover “Walk On The Wild Side“. The final song, Ocean Rain, sounds as delicate and perfect as it did in 1984. 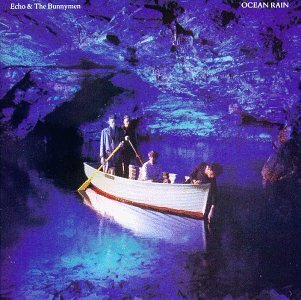 All hail Echo and the Bunnymen – the greatest band to ever set sail from the banks of the River Mersey. 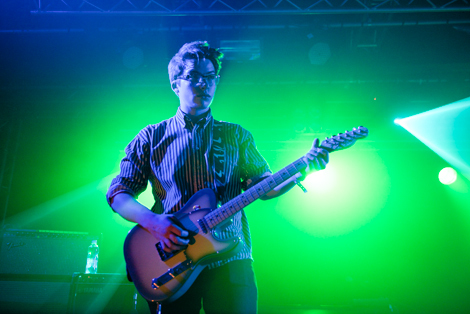 Getintothis talks to Will Sergeant on his new record and his love affair with psych music. 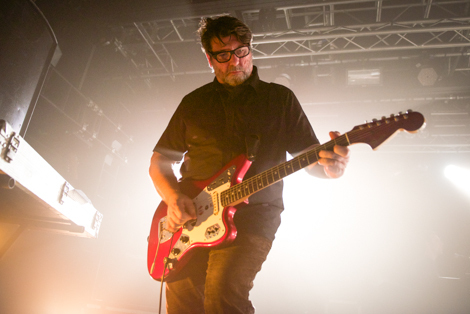 Getintothis reviews Echo and the Bunnymen live at the ECHO Arena performing Ocean Rain. 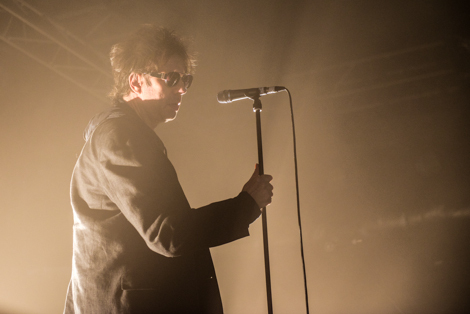 Getintothis reviews Ian McCulloch, Ian Broudie: The Epstein Theatre, Liverpool.